So I've been planning and talking about this for some time. Ummm, nine months to be exact. Ridiculous. Now I've finally commenced work on my Anti-Gravity Lighthouse. And I most definitely need to come up with a better name for this project than that. I've been working on the base, but my first step was commencing painting the civilian lighthouse keeper. 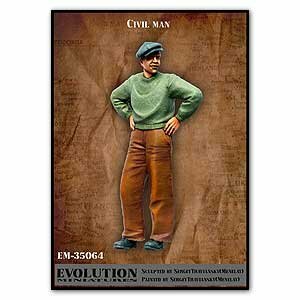 It's a resin figure I bought last year, a 1/35 "Civil Man" from Evolution Miniatures. 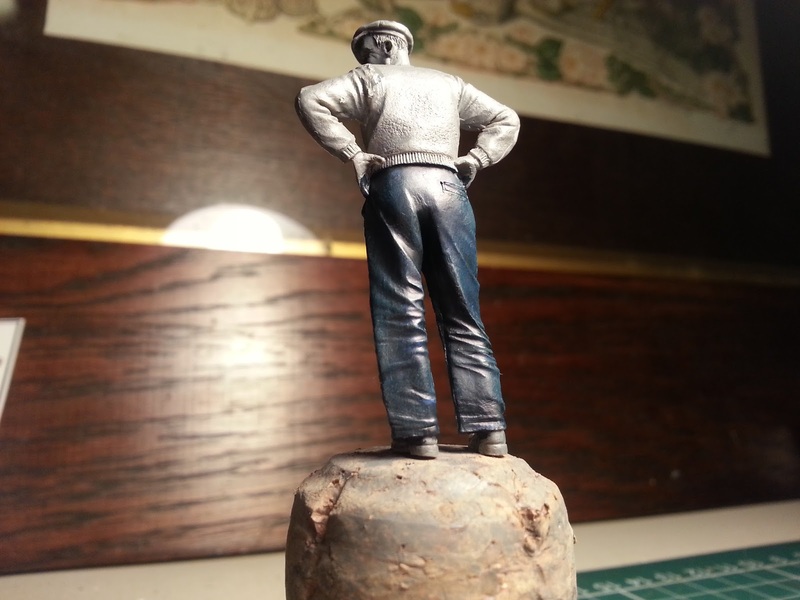 I've been painting his trousers navy to give him a suitably nautical feel. 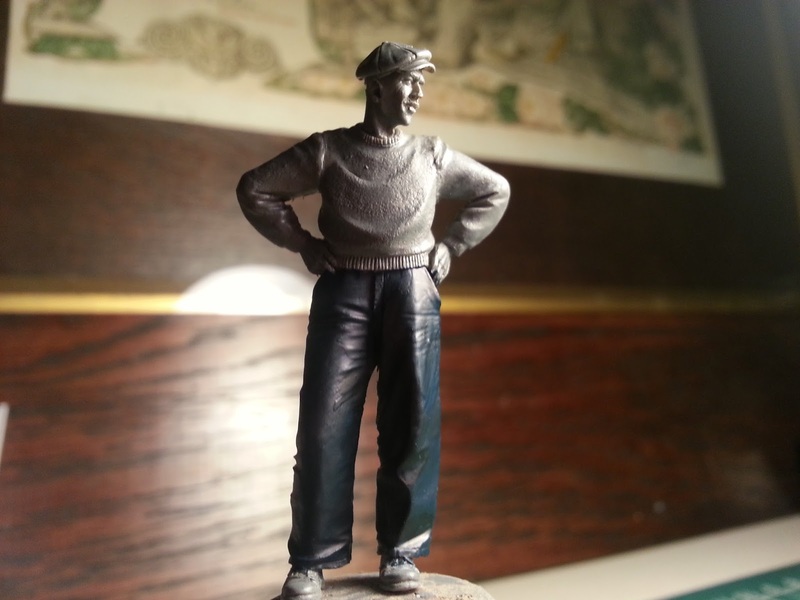 Next up will be an off-white jumper (or "sweater" for any Yankee readers). 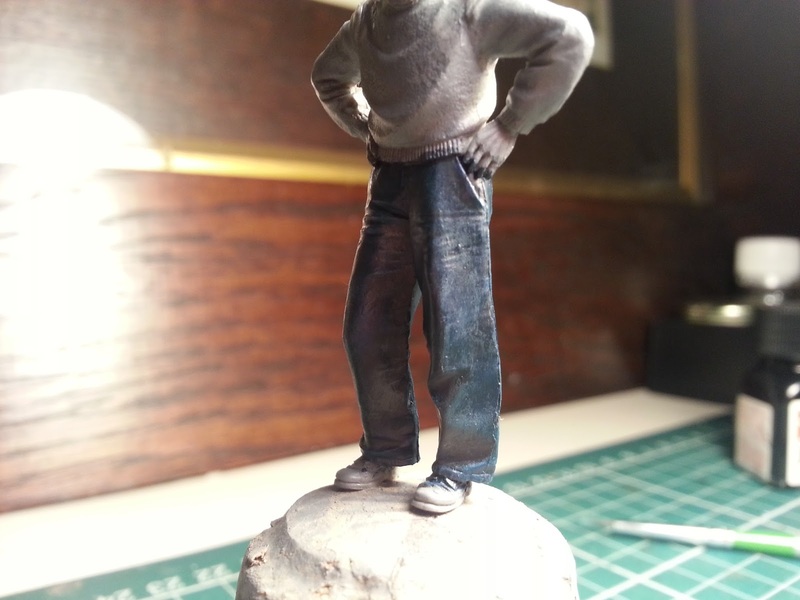 It's been way too long since I painted any figures, about a year, and I'm looking forward to tackling those flesh tones again. Obviously we will require a matte coat when he's done. It's good to have finally started something I've been wanting to do for absolutely bloody ages. Now to make the ideas in my head turn into reality.